This year Advent arrives to a world in turmoil if not revolution. The Occupy movement draws increasing attention to the increasing gap between rich and poor. Over consumption, consumerism, and commercialism are false idols. A holiday season propped up on the pitch to spend more than you can afford because it is material things that bring comfort and joy rings false in more ears by the day. Campaigns such as The Advent Conspiracy and Christmas is Not Your Birthday (see also Mike Slaughter’s book) bring a creative and urgent call to remember that Christmas is not about consumerism, but the birth of a preacher with a world transforming message of justice, equality, and peace. That message can’t be bought or sold at a store. And yet, the spirit of that message most definitely can be given and received! So my question for this week of Advent is “What are some of the greatest gifts you’ve ever received that we’re not bought or sold at a store?” What were you given that someone made, cooked, said, or did that touched your heart so deeply you remember it still? Can tell its story still… can share a story of how it transformed your world or helped you transform the world around you. 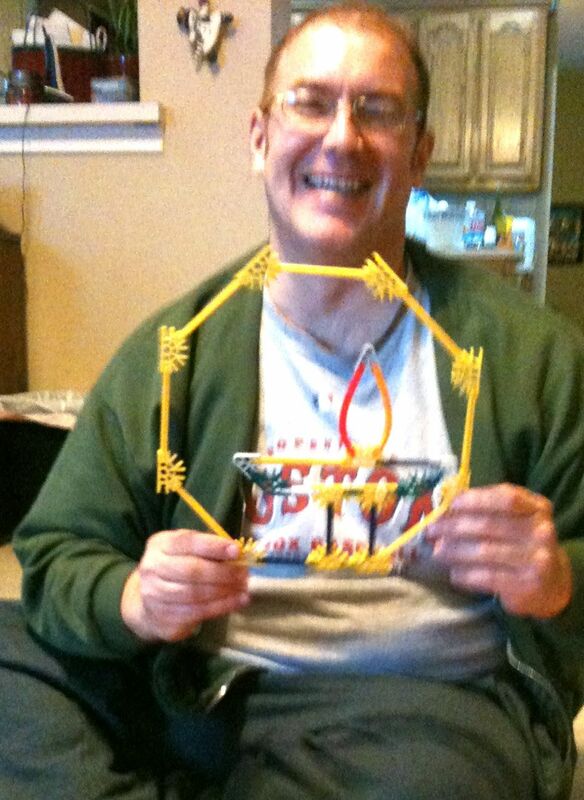 My son made this for me for Christmas out of his K’nex when he was 12. It has hung on office walls, in churches and in prayer spaces in the house. 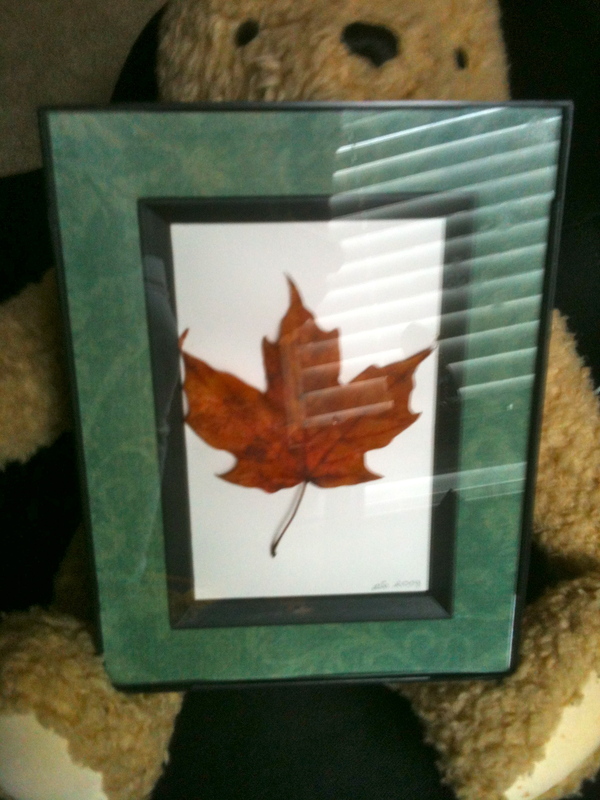 This is a mounted and framed maple leaf from Massachusetts. A friend sent it to me a couple of years ago as part of a Facebook meme about making gifts for people. I treasure it. It is simple, regal, elegant, powerful. It speaks of life and death, dying and rising again, and the natural world. It reminds me I have friends I can’t see who live far away and that love always connects us. It also humbles me and reminds me to follow through on my promises and commitments as I never sent out my gifts for that same Facebook meme. Maria Mercedes Jaramillo was my college Spanish teacher, but like all good teachers she taught much more than her subject area. She taught me feminism and from a multicultural perspective. She taught me about human rights, and was that person for me who encouraged me to learn about and change the world beyond my own front door. She also provided individual tutoring when I was down to my last chance to pass the theological Spanish exam at Harvard Divinity School. The first job I had when I got out of college was as the director of an English as a Second Language after-school tutoring program. An eigth grade Hmong girl brought me soup as a gift for helping her learn English. 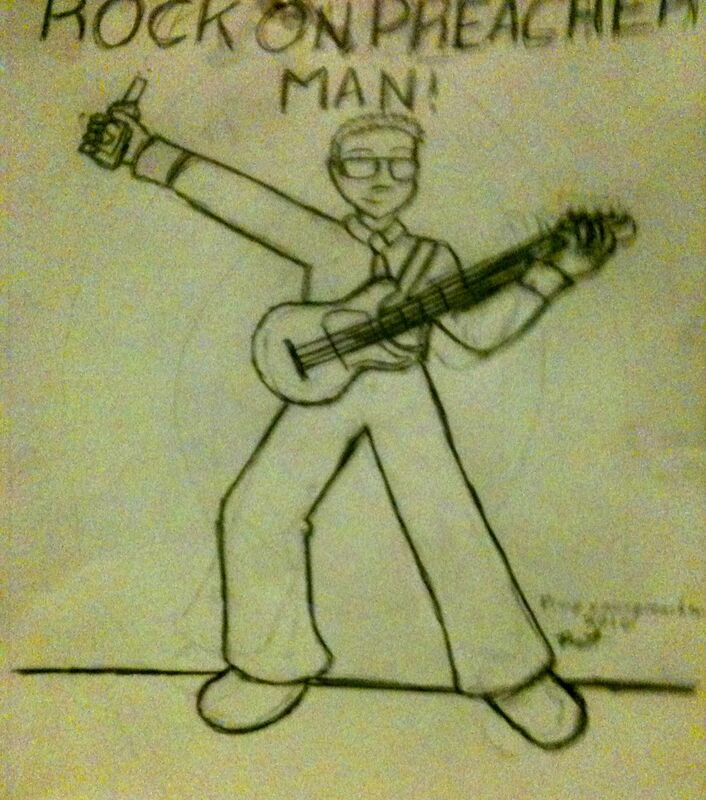 This was the first gift I was ever given by students. It was not the last, but it became increasingly symbolic over the years. So, again, what are some of the best gifts you’ve received that remind you Christmas (and other good things in life) doesn’t come from a store? I don’t usually stump much for my employer, but UU World had a similar question in the current issue. Check it out here: http://www.uuworld.org/life/articles/188419.shtml.